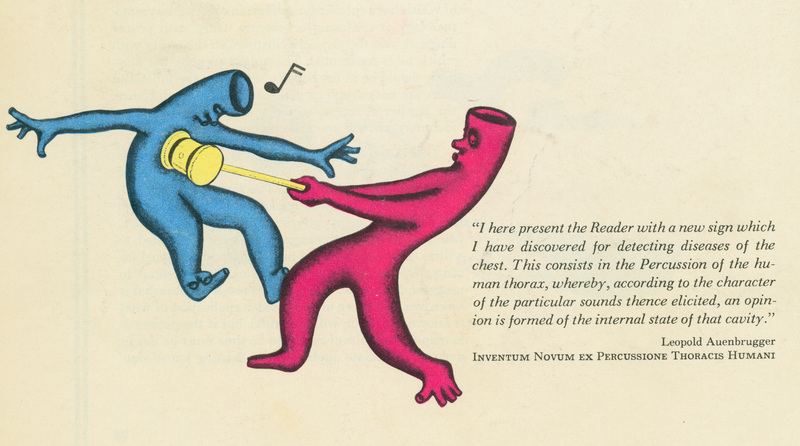 The Heart Bulletin was published by the Medical Arts Publishing Foundation in Houston from 1952 to 1971. 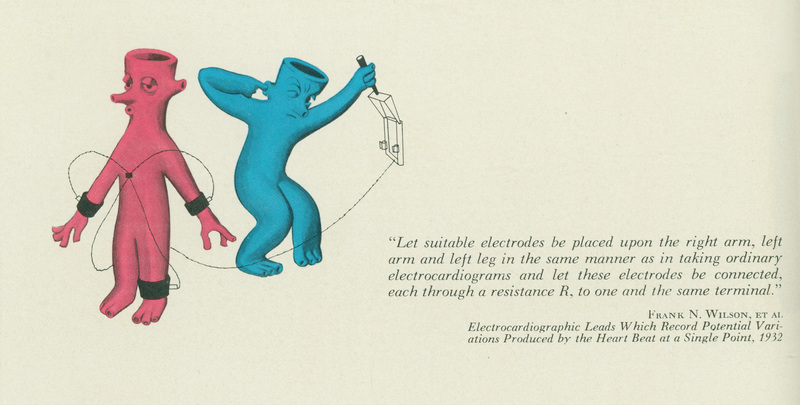 The back cover of every issue featured cartoons of red arteries and blue veins that playfully illustrate the principles of cardiovascular medicine. 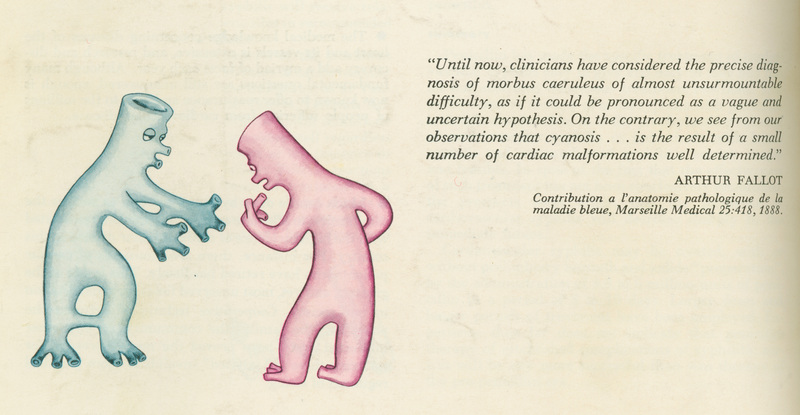 Each illustration has a quote about cardiovascular theory from notable philosopher or physician. 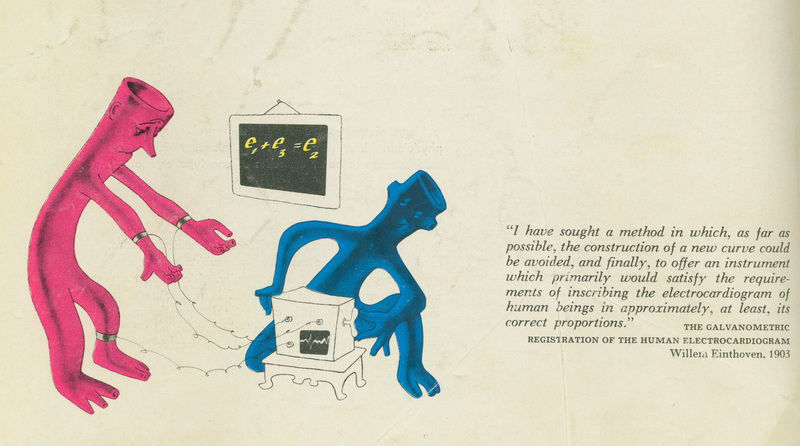 Joseph Schwarting, once the only fine arts major on the University of Texas football team, was the lead artist for Medical Arts Publishing Foundation, which was noted for using original art for each graphic in every journal. The company also published The Cancer Bulletin and The Psychiatric Bulletin. The Texas Medical Center Library’s John P. McGovern Historical Center houses the original artwork for all the publication of the Medical Arts Publishing Foundation. 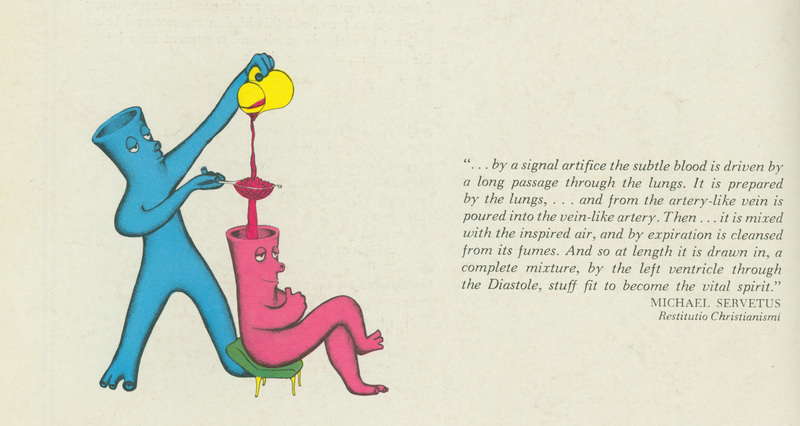 Below are some of the original artwork for the Artery & Vein characters. LIFE magazine, November 17, 1941, page 115. 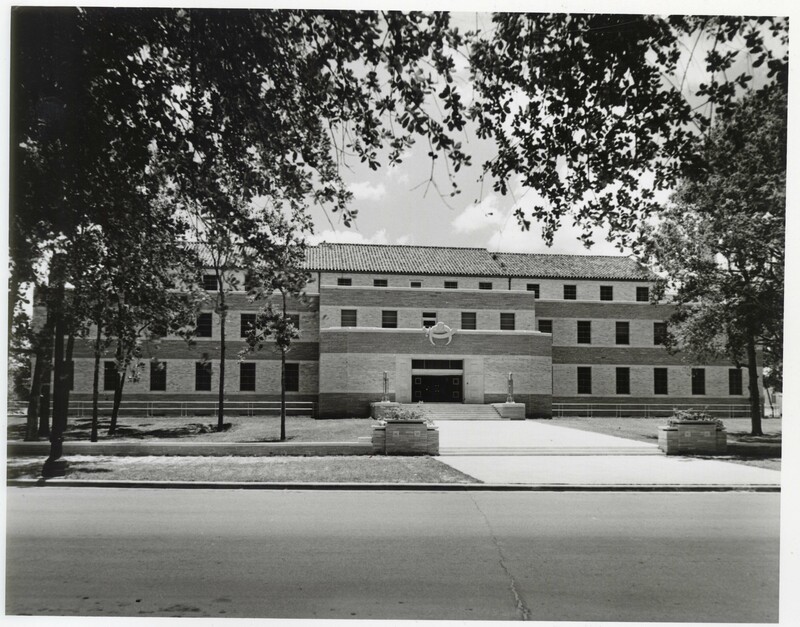 The Houston Veterans Administration Hospital moved its new radioisotope laboratory—nicknamed the “Atomic Lab”–into this converted Navy barracks in 1952. Its eight thousand square feet included eight laboratories, a cold room, culture transfer and media preparation rooms, a constant-temperature instrument room, sterilization room, the latest in housing for laboratory animals, and an animal operating room. Medicine began to use radioisotopes in the late 1930’s as tracers in investigation and diagnostics, and to administer radiation as therapy for cancers and thyroid disease. Dr. Michael DeBakey conducted some of his early vascular surgery research in Building 203. 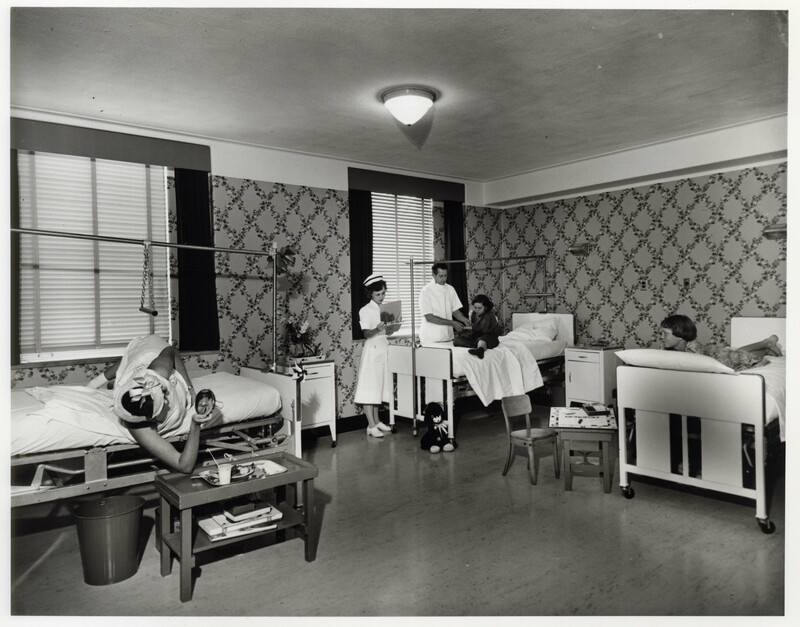 The first Dacron graft surgery was performed at the Houston Veterans Hospital in September 1954. The vehicle parked out front is a fourth-generation (1947-1955) Chevrolet Suburban. It has a single taillight in the middle of the rear hatch. 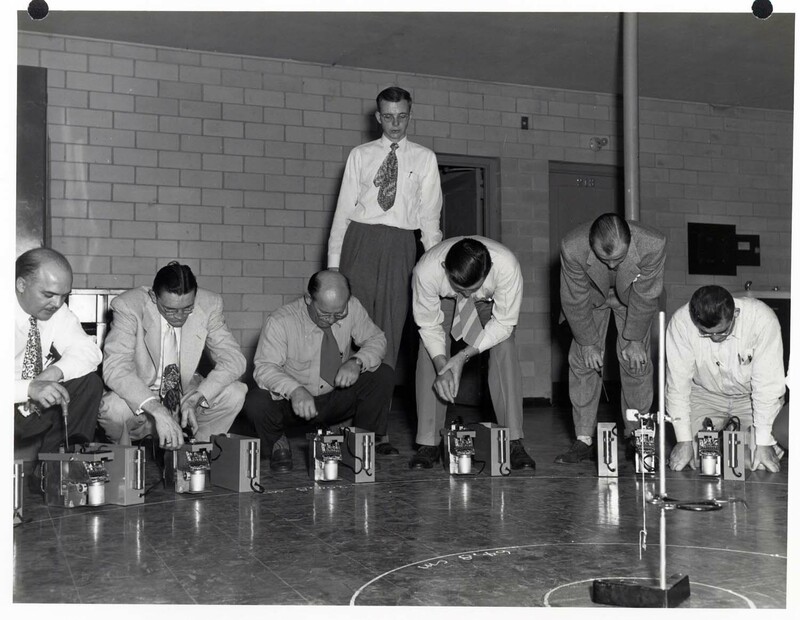 “The men are being trained in how to calibrate a GM (Geiger Mueller, geiger counter). In a calibration, you relate the meter readout to the actual exposure rate in mR[milliroentgens]/hr. The actual exposure rates are indicated on the floor and have been calculated based on the distance from the source and the known activity of the source. The source is the small metal capsule hanging from a string in the center of the concentric circles on the floor. It is towards the lower right corner of the photo. The source is the same height above the floor as the center of the GM tubes. The latter are the vertical cylinders clipped to the front of the bottom portion of the meter case. Notice that these tubes are aligned up on the concentric circles. 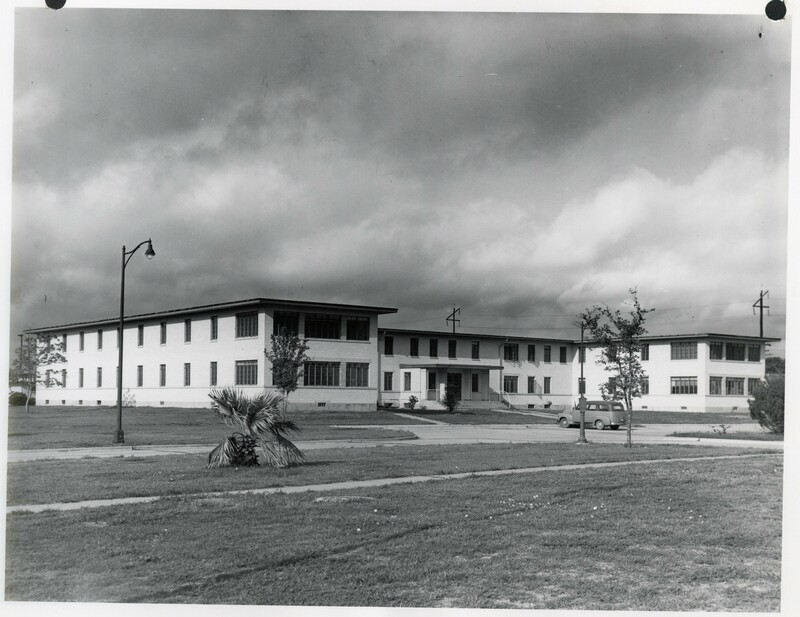 P-3305-01, photo of radioisotope laboratory building, Houston Veterans Hospital, ca. 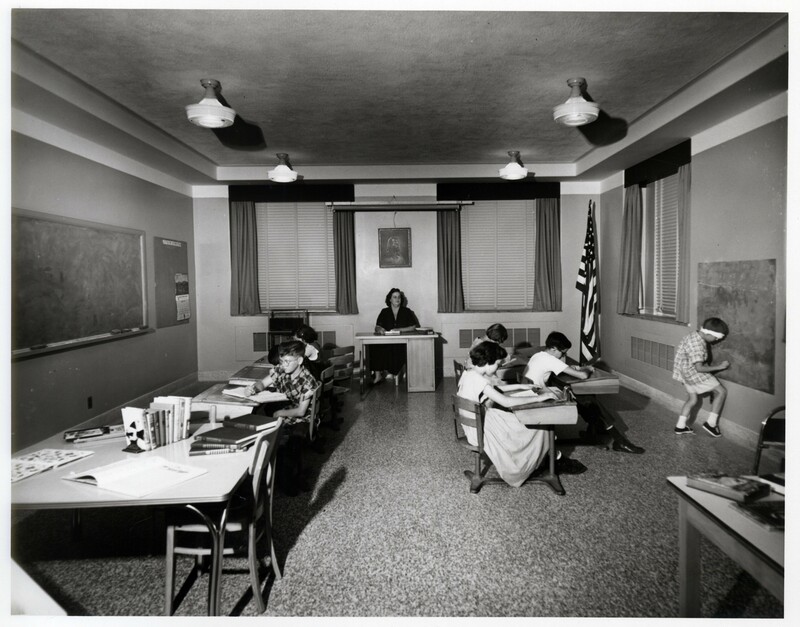 1952; John P. McGovern Historical Collections and Research Center; Houston Academy of Medicine-Texas Medical Center Library; Houston, Texas. Kahn, Jeffrey, “From radioisotopes to medical imaging, history of nuclear medicine written at Berkeley,” http://www2.lbl.gov/Science-Articles/Archive/nuclear-med-history.html. 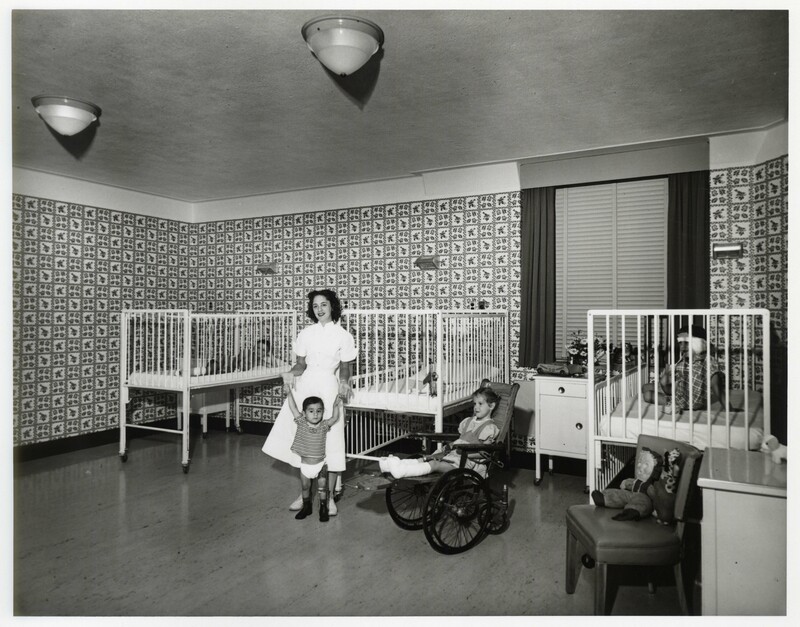 This series of images is of the Arabia Temple Crippled Children’s Clinic. 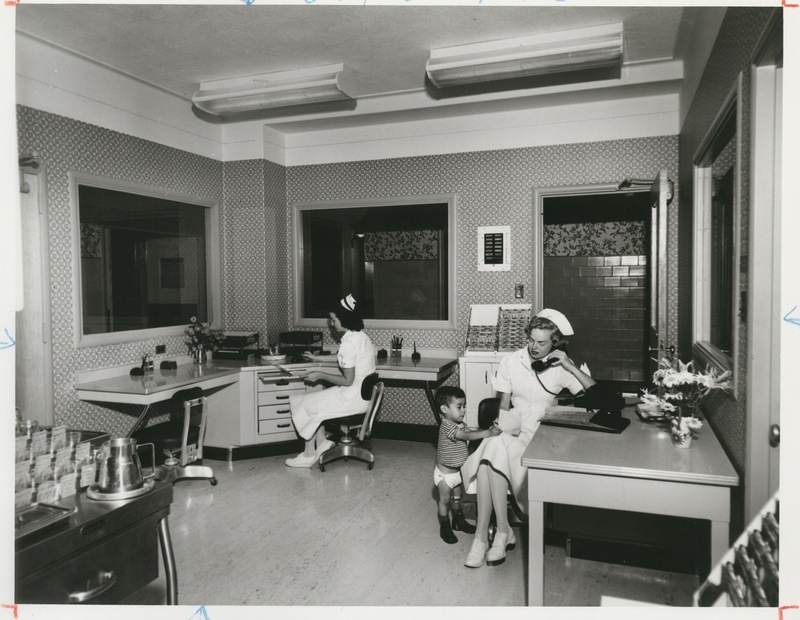 The Clinic was founded in 1920 and operated in space provided by Hermann Hospital during the 1940’s. The building seen here, constructed on Hermann land, opened in 1952. It joined the nonprofit Shriners Hospitals for Children in 1966 and continues to operate as a Medical Center member institution. The Houston branch treats cleft palate and orthopedic concerns. 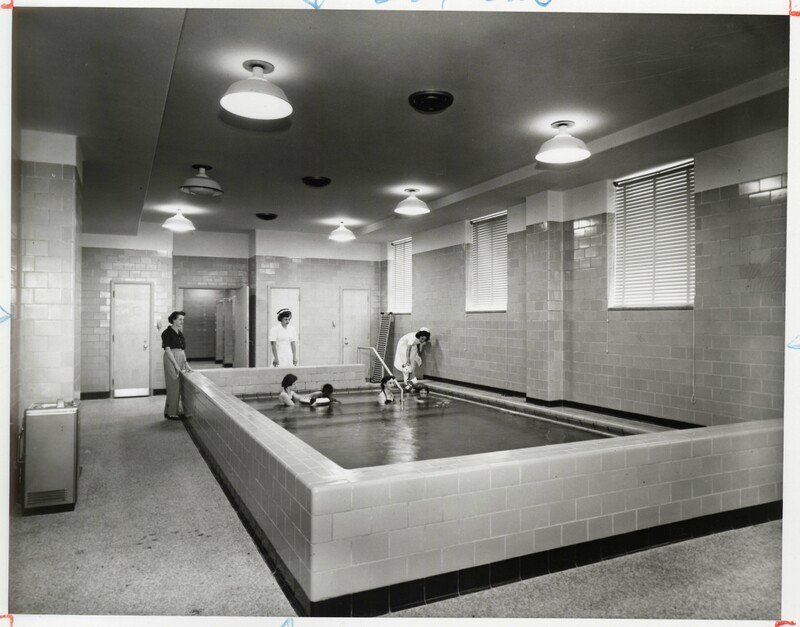 Shriners Hospital, Galveston, opened in 1966 and specializes in burn care. This series also constitutes our Tour of Elaborate Wallpaper. Particularly notable are the cherubs in the nursery (which may have been painted) and the Plymouth Rock scene in the lunch room. 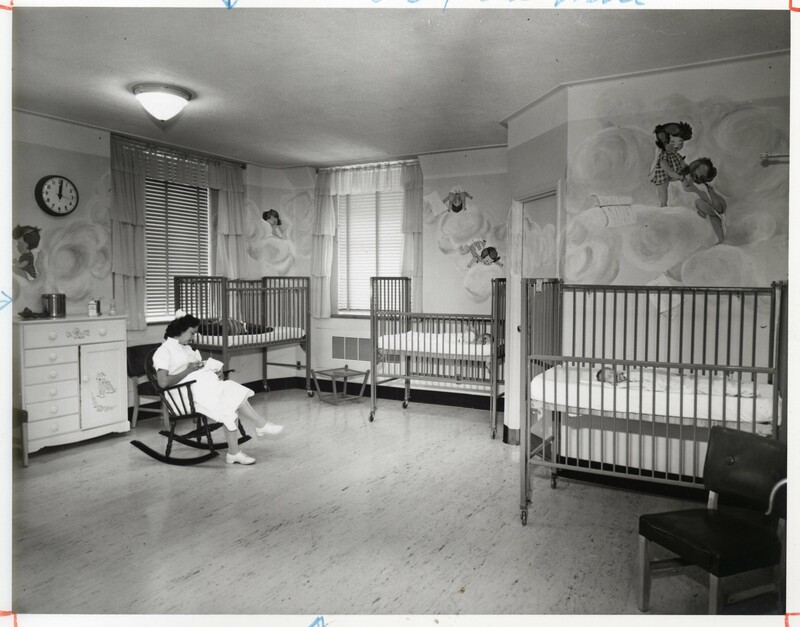 P-2537-04 Arabia Temple Crippled Children’s Clinic, patients’ room. P-2536, Arabia Temple Crippled Children’s Clinic exterior view; John P. McGovern Historical Collections and Research Center; Houston Academy of Medicine-Texas Medical Center Library; Houston, Texas. 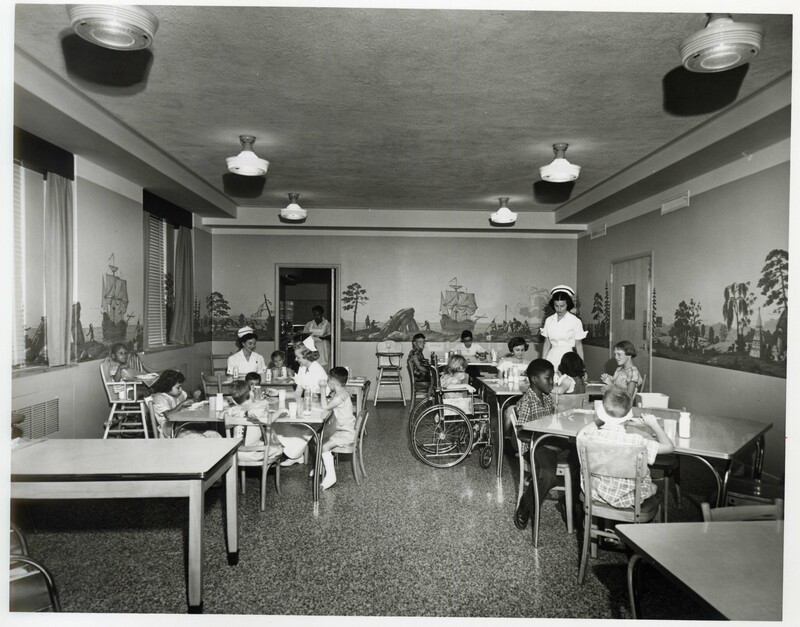 P-2537, Arabia Temple Crippled Children’s Clinic series of interior views; John P. McGovern Historical Collections and Research Center; Houston Academy of Medicine-Texas Medical Center Library; Houston, Texas.